A clean grill is very important to successful grilling. Cleaning your grill at the start and end of your cooking session should be part of your barbeque routine. 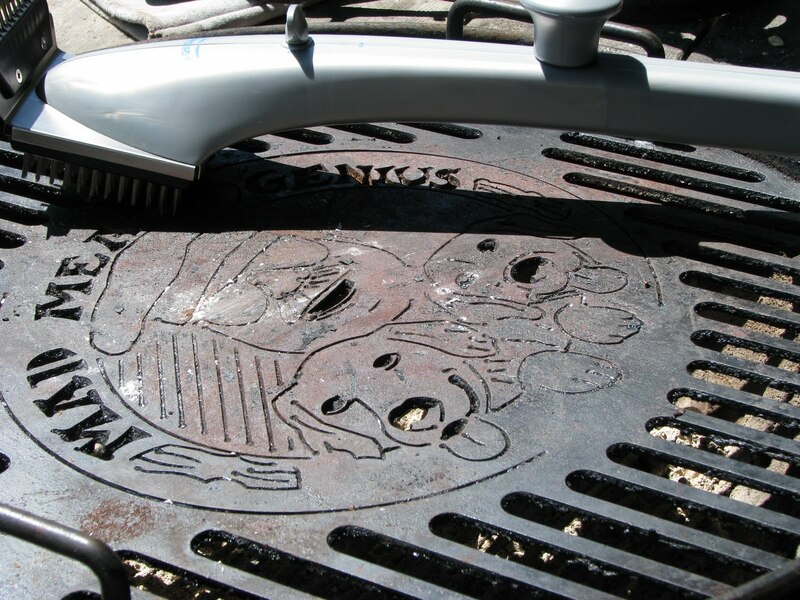 I have used all sorts of tools to clean the grates. Aluminum foil, wire brushes, paint scrapers,screw drivers and even sand paper. They have all worked with various degrees of success. Today we have been gifted the 'Grill Daddy" for demonstration and review. This is a unique looking and 'Revolutionary Grill Cleaning Tool'. This brush has a reservoir to hold water. While you are scraping the grill you turn on the valve and water will drip onto the brush. A hot grill will create steam from the dripping waster. Steam cleaning the grill is a fantastic idea. Let's see if it works. It has been raining pretty steady this Spring. 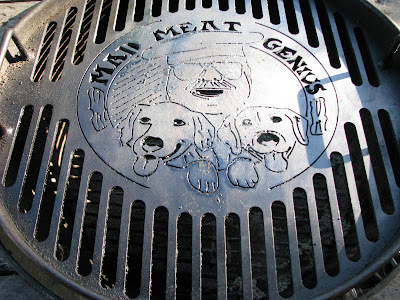 There has been a lot of moisture in the air and this has created a thin layer of rust on the Mad Meat Genius grill grate. I have broken my own rule of not cleaning the grill after cooking. A coating of oil would have prevented this rust. No worries, because we have the Grill Daddy to steam clean the funk away. The Grill Daddy has a simple and brilliant design. We filled the water reservoir and made sure the valve was closed. A fire was built and the grate was put in place. Ms. Goofy volunteered to do the demonstration. The Grill Daddy worked as advertised. The water created steam and with the steel brush the grease and rust was cleaned right away. Ms. Goofy said it was easy to use and thought it was kind of fun. In fact, I think she is going to clean the other 9 grills later because it was so easy. (I do have an imagination) The brush on the Grill Daddy is removable in case you need to replace it. There are two models of the Grill Daddy. We demonstrated the 'Pro" model. It is a little larger than the regular. 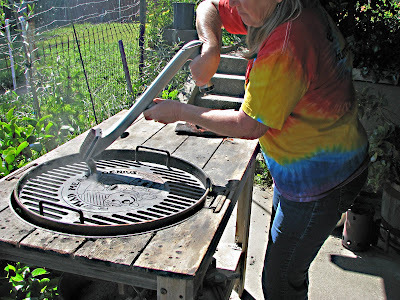 This is a great tool for the Barbeque enthusiast. It will clean your grill we ease. I just have to remember to oil the grate afterwards. This would make a great Fathers Day gift. The Grill Daddy will receive the Mad Meat Genius seal of Approval! You can buy Grill Daddy's from Amazon or directly by clicking the link. Cool tool! Never seen a close up of your grill.Outstanding!! The name "Grill Daddy" would indicate that a man would use it. Ms. Goofy is too nice to you. Nice job sir! That would have taken me weeks to do, am happy one of us got it to town. Hey I love your custom grate. Did you have to re-season it after the steam?